Two hotel fast-casual food spots are getting spruced up at the Disneyland Resort, also adding gorgeous new bar seating for pool goers and hotel guests. Tangaroa Terrace, the South Seas hideaway at the Disneyland Hotel, is closing soon and will re-open in early 2019 as Tangaroa Terrace, Tropical Bar and Grill. The restaurant’s ‘50s Tiki-inspired design, however, will remain the perfect tropical complement to the mid-century modern architecture of the Disneyland Hotel. Guests can expect a new outdoor bar and refreshed patio, serving island cocktails and Asian-inspired fare. 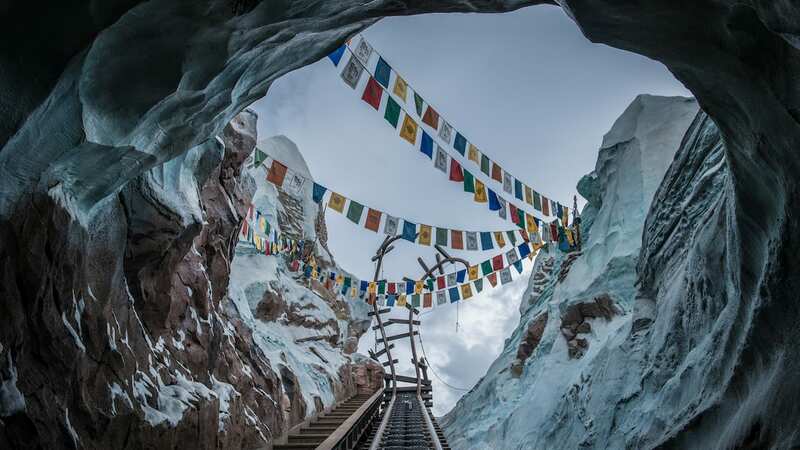 New details will also be added to the interior space, including light fixtures made of colorful fishing floats and netting, a tropical mural and bamboo accents. Guests will also be delighted to find a dedicated service window for various coffee selections in the morning and the popular Dole Whip throughout the day, perfect while enjoying time at the pools. The grill will offer options for breakfast, lunch and dinner, with an open-air marketplace for quick bites. While Tangaroa Terrace is under refurbishment, menu offerings will be available at The Coffee House, Trader Sam’s Enchanted Tiki Bar and Steakhouse 55. White Water Snacks at Disney’s Grand Californian Hotel & Spa will also close soon and re-open later this year with a fresh new look. In the meantime, Hearthstone Lounge will offer grab-and-go food and beverage options. 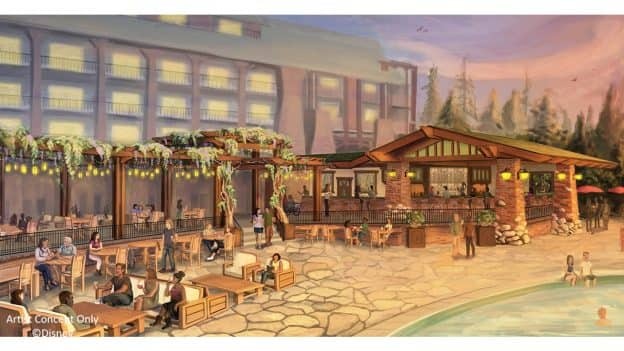 Guests of Disney’s Grand Californian Hotel & Spa will also be able to lounge in even more luxury, poolside, with a new pool bar opening in spring 2019. As you can see in the artwork above, the new pool bar area will keep with the hotel’s signature Arts and Crafts design with natural boulder stonework and clinker bricks. A custom tile mural at the back bar will also set the craftsman tone in the new space. In addition, a trellis structure will provide shade and a perfect respite to enjoy sipping beverages and snacking on appetizers. A variety of new lounge and table seating will also be available. Check back on the Disney Parks Blog for more details! We are planning a trip to the Grand Californian in 2019. When will the construction start for the pool area if it will be done in the spring of 2019? It looks like someone has already asked if the pools will remain open during construction also? Really hoping that the new pool bar at the Grand will not take away valuable pool chair space. It’s hard enough already right now finding a spot. Which side will the bar be at? Can’t picture how it’s going to fit in. 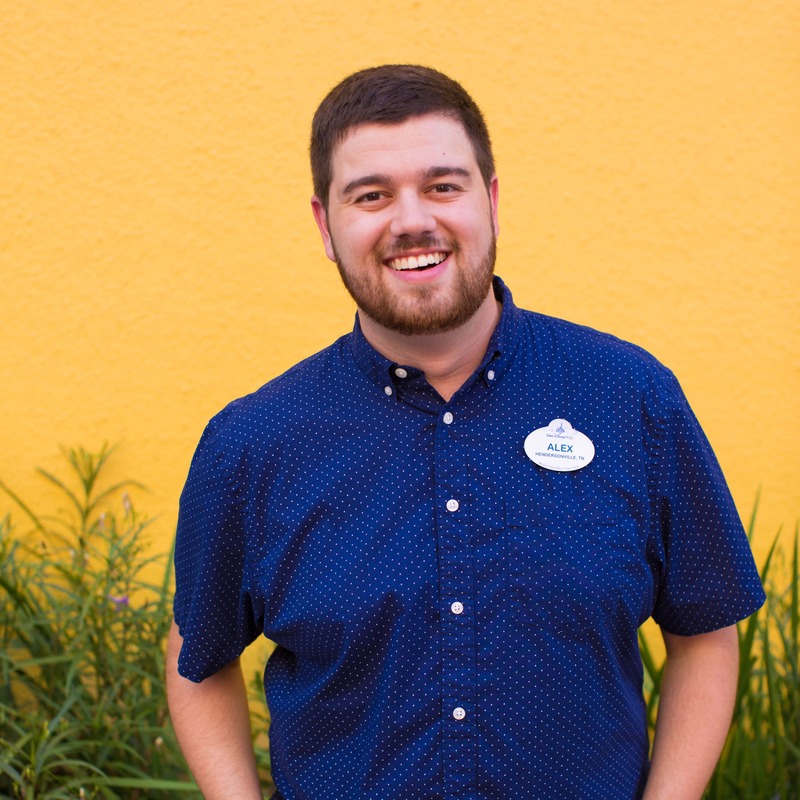 Anything that changes at Disney is always a positive improvement! Can’t wait to see them when all of the food spots mentioned is open again, and spruced up! Will the Grand Californian’s pools be closed during construction of the new pool bar? Oh no! We love Tangaroa Terrace at Disneyland Hotel. I am glad that it will return with breakfast, lunch and dinner, but I will miss it while it is closed.